I had very massive vacation. I went two places in this summer. One is 'Izu'. There is my aunt and I visited her. There are beautiful sea and mountains, so nice nature. I enjoyed swimming ,hiking, fishing…and so on. 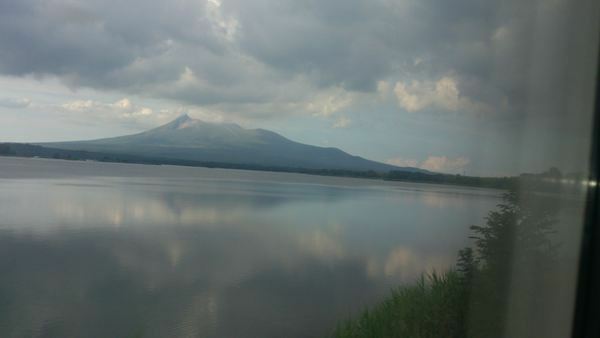 Second is 'Hokkaido'.I visited there with my highschool's friends. Actually,I lived in 'Hakodate' ,so I went back my hometown! I was stay there 2days, after I went to 'Sapporo'. There was not so cool, hgh temperature is 28°. Other, I had a part-time job and study for 'Financialb Planning 3Grade'. So it was very busy summer ,but very delighted vacation! Sorry,I've forgot to add explanation for this picture. hgh→high , Financialb→Financial , 3Grade→3rd-Grade　. I've never been to Izu, but it sounds like a great place for nature lovers. I can imagine it would be great to go back to your hometown. Which do you like better, Hakodate or Sapporo? I have no idea of how hard this "3rd-Grade Certified Skilled Worker of Financial Planning" examination is. How long have you studied for it? I like supporo,better.Because,Sapporo is large and famous city. Study "3rd-Grade Certified Skilled Worker of Financial Planning" mean study our society system,like annuity,assurance,immovable,descent,tax! I studied only summer vacation,so one month.This is not so difficult.